ViaCAD Pro - designed with the professional in mind. Gives you all the features of CAD, plus increased high-end modeling power and a more robust collection of materials and textures for interactive visual realism! Professional CAD tools for a consumer price! 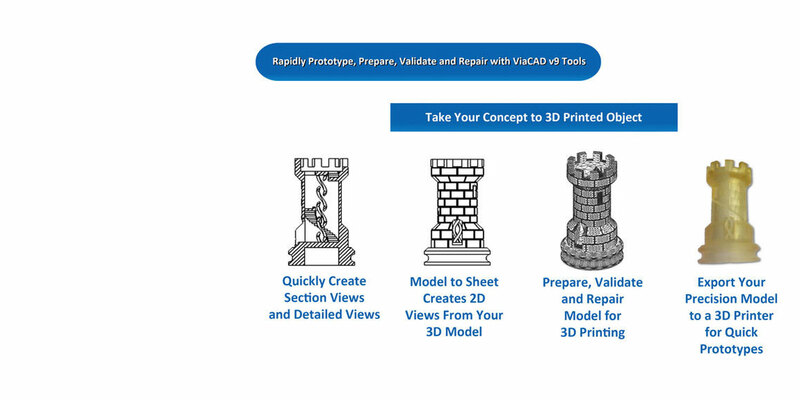 ViaCAD offers you the 3D tools you need for designing prototypes, products, mechanical parts and more! ViaCAD offers precision solid modeling and drafting toolsets, SubD, photo rendering and 3D printing tools in one application. ViaCAD Pro is the next step for CAD hobbyists and professionals looking to take their skills to the next level. Because of the short learning curve, this will be possible in a short period of time! ViaCAD is equipped with the following functionalities to offer you versatile 3D modeling. ViaCAD offers you, besides accurate 3D solid modeling, 2D and 3D drafting tools, surface modeling and even SubD modeling. 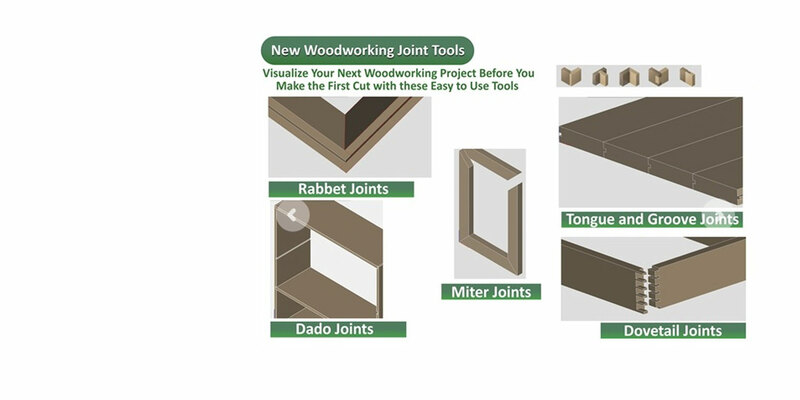 Several woodworking joints (rabbet, miter joints, and Dovetails) for furniture design and floor plans with composite walls. Photo realistic rendering to help communicate and sell your ideas to others. Drag and drop materials, decals, and background environments to turn your digital prototypes into stunning photo realistic renderings. 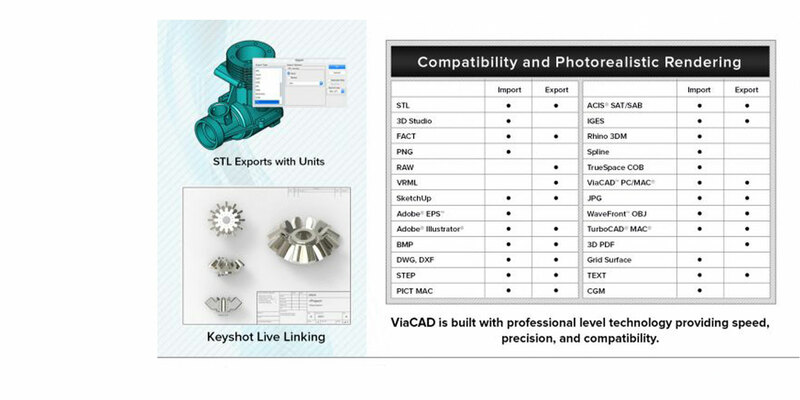 ViaCAD Pro uses a precise kernel that share data using SAT, IGES, STEP, DWG/DXF, STL, SKP and more. Prepare and validate your designs for 3D printing. ViaCAD contains 3D printing tools for controling surface normals, overhang and wall thickness, supports, preview slices and printer definitions (volume, positioning, etc.). Dimension and constraint tools are now available to manage the geometric relationships between 2D shapes. These relationships are used to remember design intent of 2D sketches, which typically drive 3D solids. Modifying any object within a system of constraints will update all other dependent objects accordingly. You can now modify a tool palette to use larger or smaller icons. Right click on the tool bar header to display a popup menu for “Change Icon Size”. This menu now provide options for 64,32,24 and 16 pixel sized icons. The default icon size is 32x32. A new command to duplicate a layer and all the objects in that layer is now available through Concept Explorer. To access this command, place your cursor over the layer you want to duplicate, right click, and select the Duplicate command. If you Duplicate a sub layer, the new duplicated layer is promoted to a first level layer. Scalable Vector Graphics (SVG) is an XML-based vector image format for two-dimensional graphics with support for interactivity and animation. The SVG specification is an open standard developed by the World Wide Web Consortium (W3C) since 1999. V11 now supports importing and exporting to this new format. The new SVG Import/Export provides an alternative to using the Adobe Illustrator format for sharing vector based (scalable) graphics. Note: For importing SVG files from Adobe Illustrator use a unit setting of MM(or inch) and a DPI setting of 72 to get the correct scale. Lightworks PhotoRendering now supports rendering texture images imported from OBJ, 3MF, SketchUp, and 3DS file formats. Prints involving objects with textures now internally use Lightworks to generate the image for the printer, providing a high resolution output. Skinning is the process of constructing a NURB surface between sections. Skins in ViaCAD can be open resulting in a NURB Surface or closed creating a Solid. V11 introduces the ability to specify a path. The path defines the flow of the surface between the sections. Specifing a path means you may be able to define less sections which may produce a more overall smooth surfaces. Some design tasks prefer higher order curves such as arcs, circles, and/or ellipses over lines. For example sharing data with a plasma or water jet cutting CNC system or extruding a profile into a solid and later adding edge treatments. V11 introduces the Simplify Curve tool to assist in this task. The transition rolls off using a smooth arc simulating the path of a router bit. 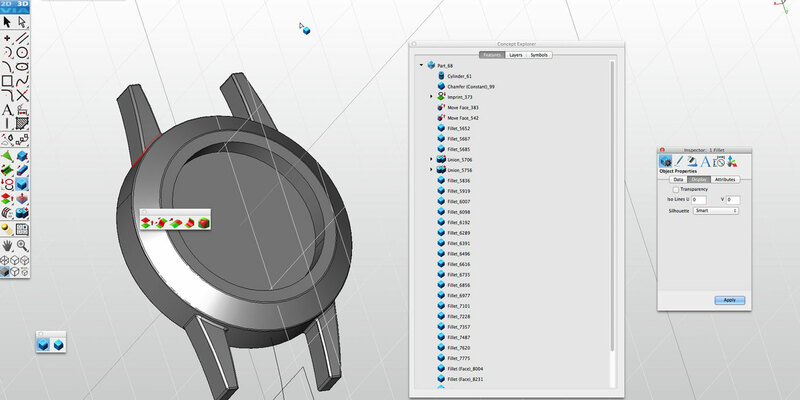 As with other features, the user can modify any of these parameters during the design process to explore alternative shapes quickly. Regenerative design or algorithmic modeling is a method in which designers use and tweak formulas to create complex shapes that would otherwise be very difficult to design. V11 introduces the ability to use parametric formulas to design NURB shapes. The 3D Manufacturing Format (3MF) is a 3D printing format that allows design applications to send full-fidelity 3D models to other applications, platforms, services, and printers. The long term goal of the 3MF consortium is to replace STL as the industry standard format for 3D printing. The 3MF consortium founding members include Microsoft, AutoDesk, Dassault Systems, 3D Systems, Siemens, PTC, HP, and ShapeWays. Check out the thousands of MicroSoft Paint 3D 3MF models in Windows 10 imported into ViaCAD 11! VRML (Virtual Reality Modeling Language) is a file format used to describe 3D interactive graphics for the world wide web. Although replaced by other file formats, VRML is still popular in some circles. In fact VRML is one of the few formats that can be used to define a fully colored 3D print model*. The image to the right is a VRML 2.0 file with textures uploaded to Shapeways. Shape ways has the ability to print this type of a model using SandStone suitable for figurines and sculptures. *3MF will replace this feature at some point but many print bureaus such as Shapeways do not yet support 3MF. The OBJ file format was updated to supporting reading and displaying textures. SketchUp(TM) has introduced a new file format starting with their 2018 products. V11 has been updated to support the new format as well as supporting textures. AutoDesk(TM) has updated the DXF/DWG format with the release of AutoCAD 2018. V11 has been updated to support the new format. Note: AutoCAD 2019 uses the same format as AutoCAD 2018. Includes a new main palette that includes tools for creating quad mesh primitives. New tool that smooths a quad mesh enabling the creation of watertight organic forms. Creating a staircase in ViaCAD Pro 9 is a piece of cake with the 3D Polar Array function. You can now create rabbet, dado (through, stopped, blind), miters, dovetails, and tongue/groove. You now have an option to display the workplane grid as a polar or ISO grid. You can also change the grid orientation by an angle. Use the new Grid Properties dialog box under the Workplane menu to explore the different options. You can now drag and rotate the workplane with a mouse driven GUI. With v9, all Mac OS X builds will be 64 bit compatible. Spatial, our technology partner, now only supports 64 bit Mac DLLs for ACIS. This means you can load much larger parts and models. Previously you were limited to around 2.3 GB of model data in virtual memory. The old Carbon framework used to interface to the Mac OS has been replaced with Cocoa and CoreGraphics. ViaCAD draws 3D data to the screen using OpenGL. In the past, objects that did not have a 3D OpenGL equivalent were composited using 2D. The result was a small frame delay for compositing the 2D frame into the 3D frame. Withv9, those draw elements that do not have a 3D OpenGL equivalent are drawn into an overlay window on top of OpenGL. End result, frame rates have the potential to be faster in v9. Printing now supports floating point coordinates for improved accuracy. In addition printing now supports previews and printing 3D objects in rendered views. Updated core kernel technology from our Dassault Spatial partner. 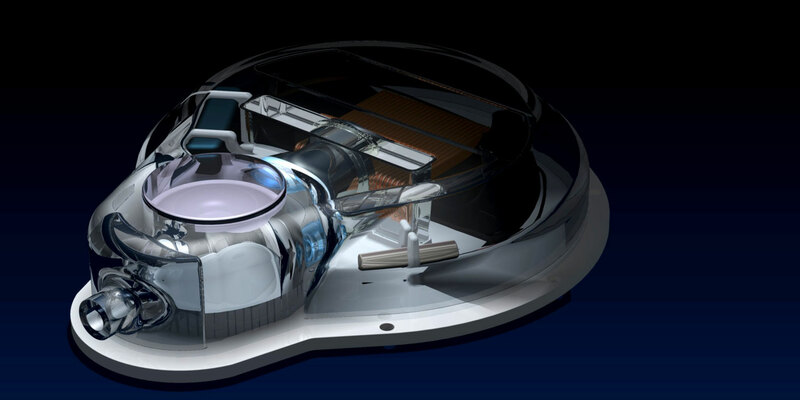 Updated core translator technology from our Dassault Spatial partner. Support for the updated 2013 DWG/DXF file format. Video's, tutorials and more. Everything you need to get you started with ViaCAD. The newest ViaCAD video tutorials to get you started. Would you like more information about ViaCAD?